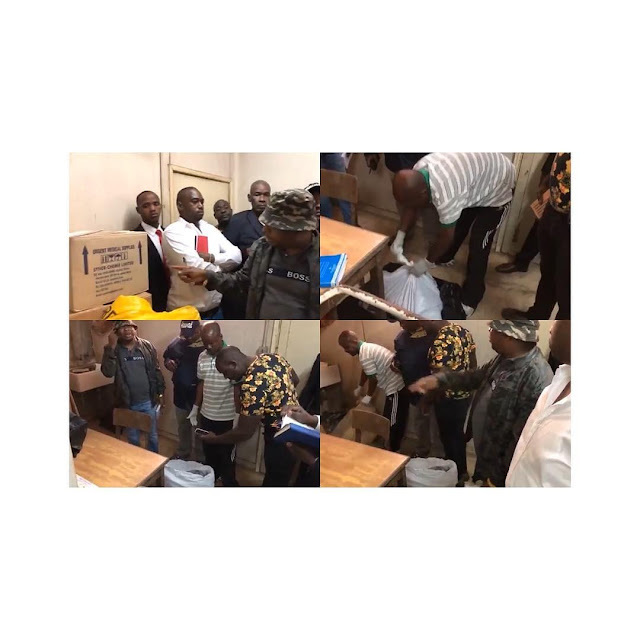 Nairobi Governor, Mike Sonko’s Monday morning impromptu tour of Pumwani Maternity Hospital, turned grim with the discovery of 12 infant bodies in paper bags. “Stern action will be taken against anyone found to be sabotaging the good services offered to our mothers and sisters who come to deliver in this facility,” he warned. The governor arrived at the hospital on a motorcycle and was informed by one of the staff members that only one infant baby had died at the hospital in the past 24 hours. However, on closer scrutiny, 12 bodies were found in separate paper bags – one containing 6 bodies, another containing five and yet another with one body – inside a room at the hospital. Sonko, during the raid streamed live on his Facebook account, is at one point even heard threatening to slap one of the hospital staff members for lying to him about the number of bodies. All those responsible for this negligence will face full force of the law. I’m not going to allow this to happen to our mothers, they must take responsibility for the deaths,” said Sonko after discovery of the bodies. Following the incident, Governor Sonko has suspended top officials at the facility including the entire board of the maternity hospital.